What more could you want in a shirt to represent your Sorority?? Oh, you want long sleeves??? We got that too! 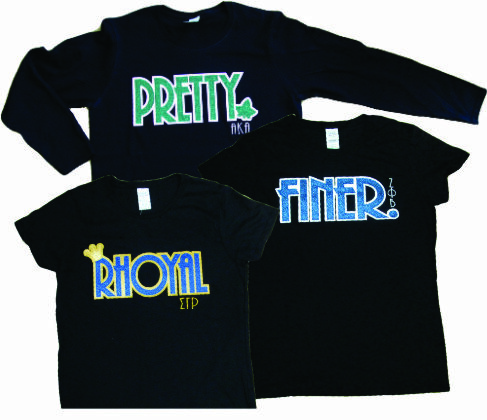 These stitched tees feature a Glitter letter and solid background to add a little "Sparkle" to your day!